WWW, July 2012 - Two vocals and two (more than excellent) DUB versions straight from this vocal duo who hails from Rouen (France) in an EP that cannot be ignored or denied: the "Original DUB Gathering" Net Label did it again. Did what? Blessing the (online) DUB massive once more, of course! Just two titles? Yes. This EP is actually a teaser which aims (and rightfully so) to convince the listener to buy more of their -excellent- material, for example from the Fu Steps Website. The vocal duo, who had their debut on none other than the mighty Conscious Sounds label only need two vocals and two DUB versions to introduce themselves and their heartical singing. First tune called "holidays" is a relaxed Roots track voicing the stress and tribulations inna Babylon, where the second -a militant steppers and ditto DUB- is bound to make it's way in the playlists of the better Sound Systems and Podcasts or Radio shows. All skill, all thrill, no fill and... no bill! WWW, July 2012 - DUB Tings, the second DAWA Hi-Fi release on the French Net Label "Original DUB Gathering", features musician and engineer Val Dawa in a remarkable new old way: everything is played, mixed, recorded and programmed by hand, as much as possible the Old Days are recalled. In other words, there's as little computerized elements as possible. Don't expect to be treated by a couple of 70's copycat tunes, though. That would not only be an insult to the works of the French producer but equally to the releases from that time. 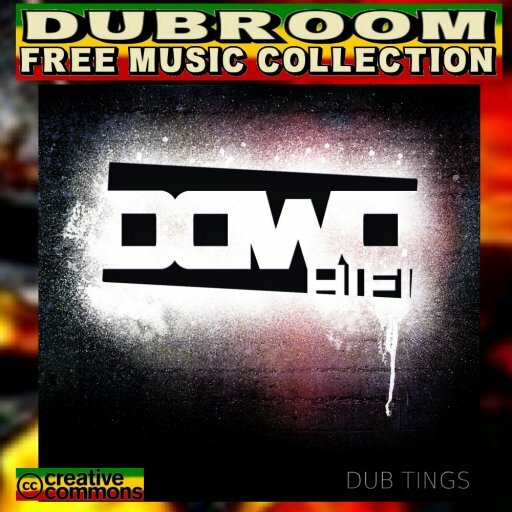 DUB Tings is "just" an original, contemporary work in the EuroDUB and Roots style which established itself throughout the last decade or so. 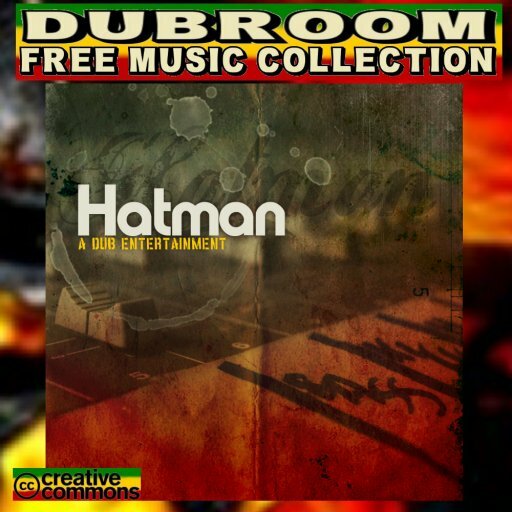 A style which distinguishes itself by it's heartical riddims and massive productions, often based on Conscious concepts. The drum and bass machine are programmed, the keyboards are played live and there is even live horns on several tracks. The mixing is done by hand, which has obvious limitations for the end result (a human has just two hands) but that is the nice part too. One can imagine Val Dawa behind the mixing board physically performing, moving sliders and knobs without pause in order to create the DUB Niceness that made this 2012 release. Ten massive mixes are waiting for you. What are you waiting for? Get them now! WWW, July 2012 - There's just one negative thing to say about this solid new release from the French Net Label "Original DUB Gathering": there's just five tracks on the album. 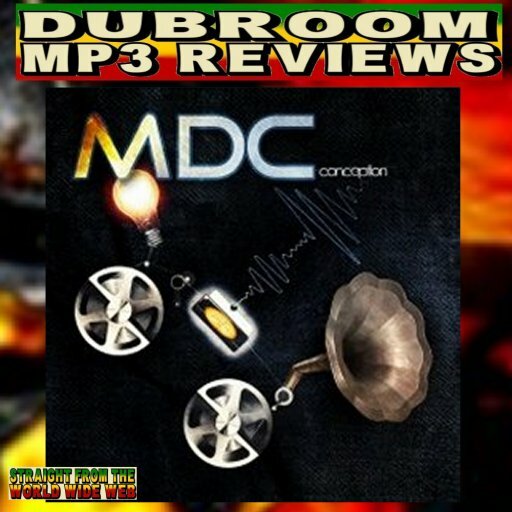 These five tracks leave you with a desire to listen more MDC material, for the simple reason this is indeed some Massive Roots and DUB. Featuring vocalists Brother Culture (UK) and Fu-Steps (France), a militant Steppers remix from the well-known King Earthquake sound from UK, another Steppers DUB remix called "Spiritual War", while opening up with an interesting track that carries a hint towards "Dubstep": that's "Conception" in a nutshell. Five tracks that stand on their own, all having a good production and riddim at their foundation. With this debut on the ODG-label, MDC has made their mark and it's definitely a good one, even though we surely would like to have DUB versions from the excellent vocal tracks on the EP. Maybe an idea for a next release? WWW, July 27 2012 - UK DUB is always appreciloved over here in the Dubroom and Provherbs DUB is a reason why. Perfect production, vocal snippets from Daweh Congo, and even though there is not too much going on mix-wise, the engineer does more than enough to make the riddim flow from start to stop. WWW, July 2012 - Another one from the widely acclaimed French DUB Released Netlabel: Archives of DUB is actually a showcase album with six titles in twelve tracks. 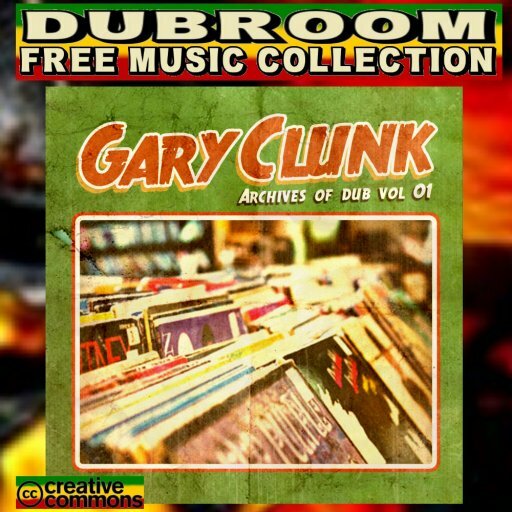 Twelve marvelous tracks where you can find everything, from upfull vocals such as Paul Fox' "Freedom Fighters" and Sammy Gold's "Hail Rastafari" to massive DUB like "Lasting Friendship" and "Headlong DUB". Everything is nicely sequenced: A Vocal, it's DUB, an Instrumental (DUB) Version, it's DUB, three times over. It makes the album very enjoyable to listen to in it's entirety, even though the quality of the tracks in themselves do not need a sequence in order to be enjoyed. This is some very, very fine and solid Roots and Culture (DUB) Reggae from the French producer! All three vocal tracks all have their own specific sound so that the singers voice comes out the best. The accompanying Dubs emphasize it in the way DUB versions should do. The three Instrumentals shouldn't really be called so as it does not give enough credit for the nice DUB mixing in them. All in all, these are 12 great tracks which can be enjoyed on their own but better altogether for a maximum DUB Experience Extravaganza! 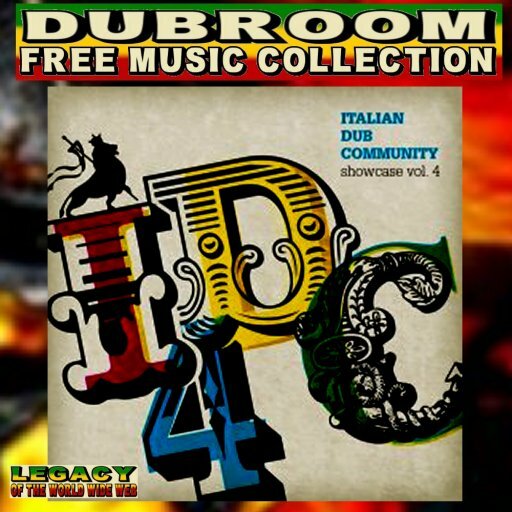 WWW, July 2012 - The fourth installment of the Italian DUB Community (IDC) Showcase series takes the musical vibe to another level, incorporating several elements of Dubstep and other Dub-derived styles. A well-appreciloved combination of (DUB) Roots and Electronica that contains some very interesting and recommended material for the Worldwide and Online DUB Massive. In many ways, Chapter 4 goes into a different direction compared to the previous three. There is less of the straight-up steppers riddims, and more electronica in the mixes. The result is a surprising excursion into the current digital technologies of which DUB certainly stood at the root. The IDC surely shows Roots and Culture to the contemporary DUB scene, in the broadest sense of the word DUB. Just mentioning Jambassa's "Declaration of Indipendence": chilling out in a style that in part hints towards the vibes in Mad Professor's works with Massive Attack. This is one of the titles on the album that could be played by DJ's in just about any electronic set. Another interesting track worth to mention in this context is the contribution by The Imperial Sound Army: A very interesting and intelligent mix of DUB and Dubstep heartically voiced by singer Dan-I. Less of the straight-up steppers riddims doesn't mean the album is void of them. Quite the contrary: take the massive, heartical Vocal and DUB by Moa Anbessa for example. "Education" is one of these tunes that will be played on many sounds and broadcasts for years to come. The Natural DUB Cluster comes with a heavyweight, up-tempo electronic steppers called "Movin'". Can't ignore this one either, if only for the militancy. A monotonous bassline just playing on the whole count, melting together with the bassdrum. Foundation for a minimalistic track which you need to play several times before discerning the distorted spoken words. There's also stuff for people who love their basic Reggae and are not neccesarily into (militant) Steppers or excursions into wherever, who are just longing for a good drum and bassline. Filomuzik, a new name in the series, comes with a title U.N.I.T.Y. and should be mentioned at this place. Fat bass in an upfull Rub a Dub riddim, mixed in Old Skool style. Wicked DUB Division's "Sound Of A Rebel" is another one in the same style. Conclusion: IDC Showcase Chapter 4 is definitely no album that should be listened to just once in order to get the vibes, in order to discover the nine different angles covered in eighteen mixes. There is just too much in there. It's not more of the same even though that would in itself be very much appreciloved and even though it is building upon the three previous chapters. It's something that makes you wonder what will happen in the next Chapter, like in a good book!